Alex Foamer is in love . . . with the untouchable singles ward heartthrob who has no idea she exists. Enter Sealey Witchburn, the manipulative, sarcastic ward executive secretary, whose scheming is Alex's only chance to catch her crush’s attention. But when Alex actually wins the bid for her dream date, she gets more than she bargained for in this surprising LDS romance based on Hans Christian Andersen's The Little Mermaid. 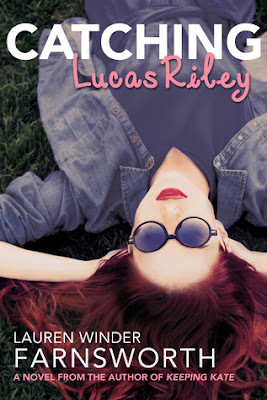 Alex Foamer is in love with Lucas Riley and is horrified when Sealey Witchburn finds out. Sealey is Lucas's roommate and a guy who scares everyone, so Alex makes a deal with him to keep her secret. The situation takes on a life of its own as the plot thickens and gets a bit messy before the final resolution. Once I started reading this book, I had a hard time putting it down. Alex found herself in some sticky situations and it was humorous to watch her get out of them. I loved her interactions with both Lucas and Sealey. Lucas is a nice guy and it's easy to cheer for them to work out. Sealey is intimidating and manipulative but grew on me as I got to know him better. This is an LDS-based romance set in a singles' ward so there are some cultural references but nothing that will get in the way of enjoying this book. The characters are fun to get know, the plot moves quickly, I laughed frequently, and there are some twists along the way to a great ending! If you enjoy clean contemporary romance, this is a great choice. This is the second book I've read by this author and am happy to say that I enjoyed them both, so I'm definitely looking forward to her next one! 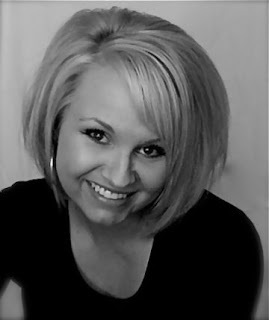 Lauren Winder Farnsworth was born and raised in Salt Lake City, Utah. She is an avid reader, a chocolate enthusiast, and a CPA with a slight alternative music obsession and dreams of one day becoming a gourmet chef. She obtained bachelor’s and master’s degrees in Accounting from the University of Utah, went to work as a financial statement auditor, and then decided that since creative accounting wasn’t an option, creative writing would have to do. As a nice compromise, accountants tend to crop up in her stories (since she believes they’re shockingly under-represented in literature anyway). Having obtained two degrees from the same institution has made Lauren somewhat of a compound collegiate fan, and the only entity that holds more of her heart than the University of Utah is her hunky husband, Bryan. Lauren currently lives in South Jordan, Utah, where she spends entirely too much time watching Gilmore Girls and looking for excuses not to clean.